What if you were a brand born in a cockpit and were an ace at aviation-inspired watch designs? What would be your next step? Why, you’d design a plane, of course! And that’s exactly what Bell & Ross have done. The brainchild of Bruno Belamich – co-founder and creative director of Bell & Ross – the BR-Bird is a way-out V12-powered propeller-engine aircraft that’s designed for speed. With short, broad wings placed nearly at its tip and a single-seat cockpit set as far back as possible, the ultramodern bird was designed to compete at the Reno Air Races – an extreme aviation speed competition set on the edge of the Nevadan desert. 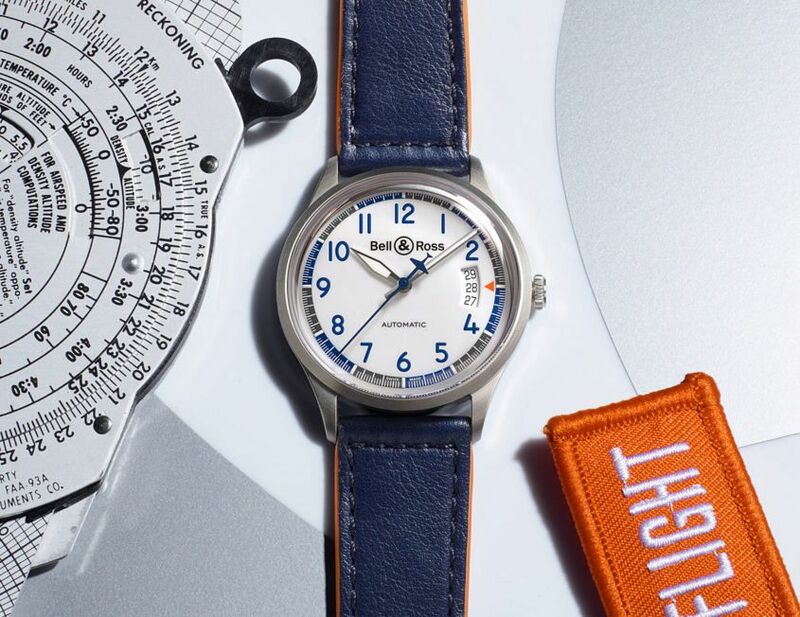 To commemorate this flight into the world of aviation, Bell & Ross have also introduced two brand-new limited-edition watches inspired by the decorative elements of the BR-Bird. 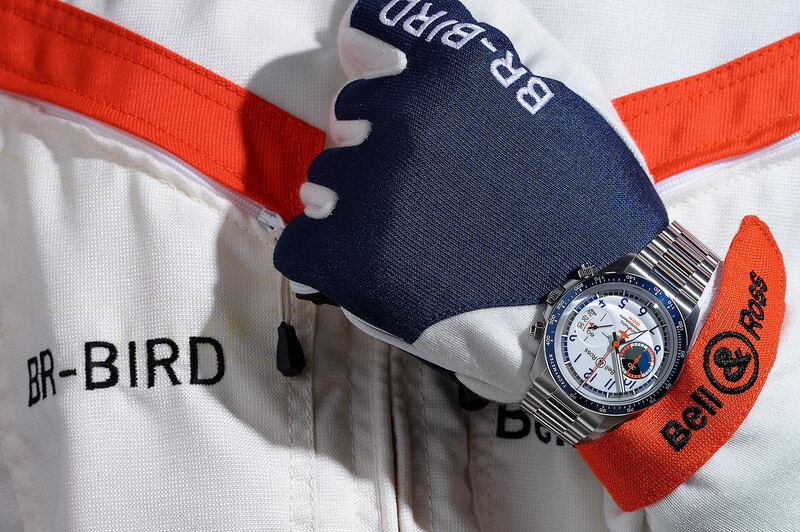 Limited to 999 pieces and dubbed the BRV Racing Birds, the pair – consisting of a three-hander, and a chronograph – sport the colours and aesthetic of their high-flying inspiration. White dials are highlighted by hints of orange and grey, and the font for the blue Arabic numeral hour markers is taken straight from the on-board counters of the BR-Bird. With another reference to flight instrumentation found in expanded date windows that now show an extra numeral either side. 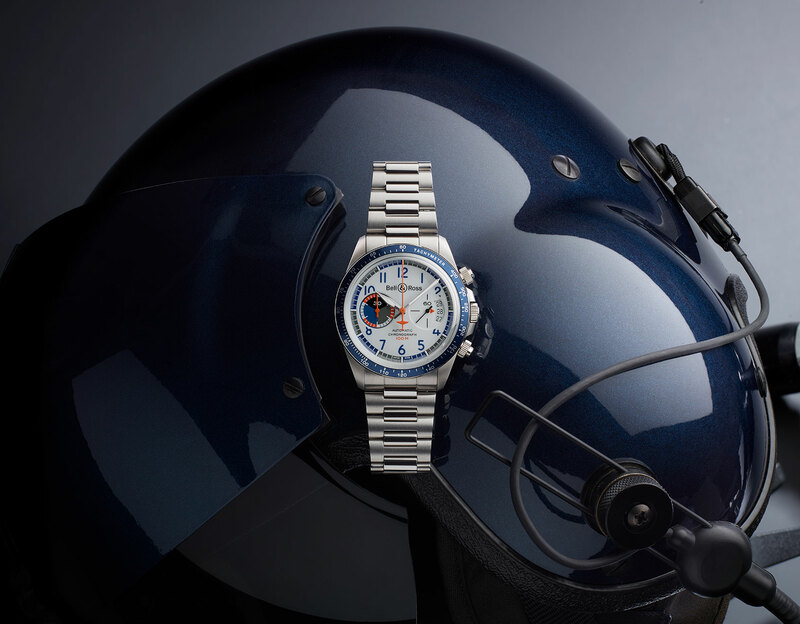 Just as on previous versions of the BRV, stainless-steel cases remain sized at 38.5mm for the time and date only BRV1-92, and 41mm for the BRV2-94 chronograph, with its blue bezel displaying a tachymeter scale. And inside are the same self-winding mechanical movements – the 38-hour BR-CAL.302 for the BRV1-92, and the 42-hour BR-CAL.301 for the BRV2-94. While orange central seconds hands now show the silhouette of the BR-Bird on their tail, as do the solid stainless-steel case backs. I have a soft spot for Bell & Ross limited editions. I feel like the watches are a chance for the design team to really let loose with bright vibrant colours, in contrast to their familiar mix of black-and-white. And full credit to them for taking their love of all things aviation to new sky-high limits.